Agnes Chavez is an artist, educator and Co-Director of The PASEO. 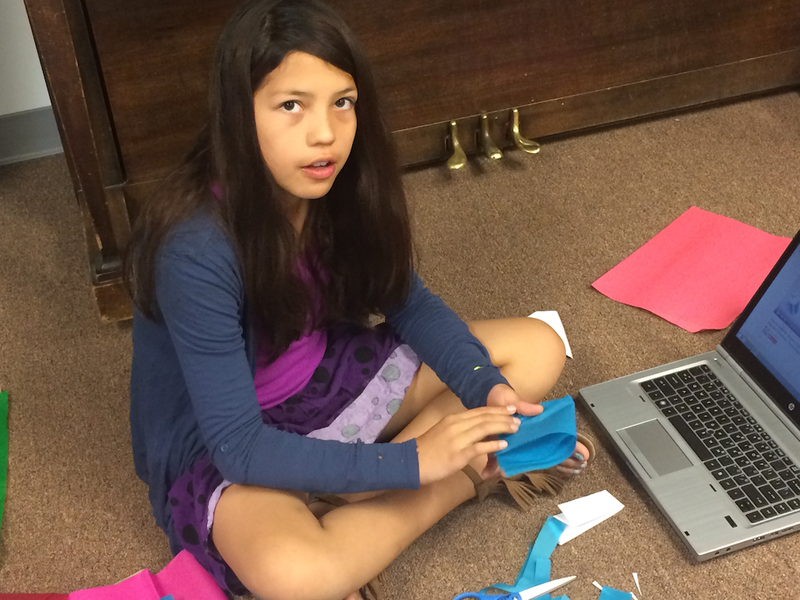 She is also an Americorp VISTA, whose mission is to ‘Help Build Capacity for STEAM Education in New Mexico. 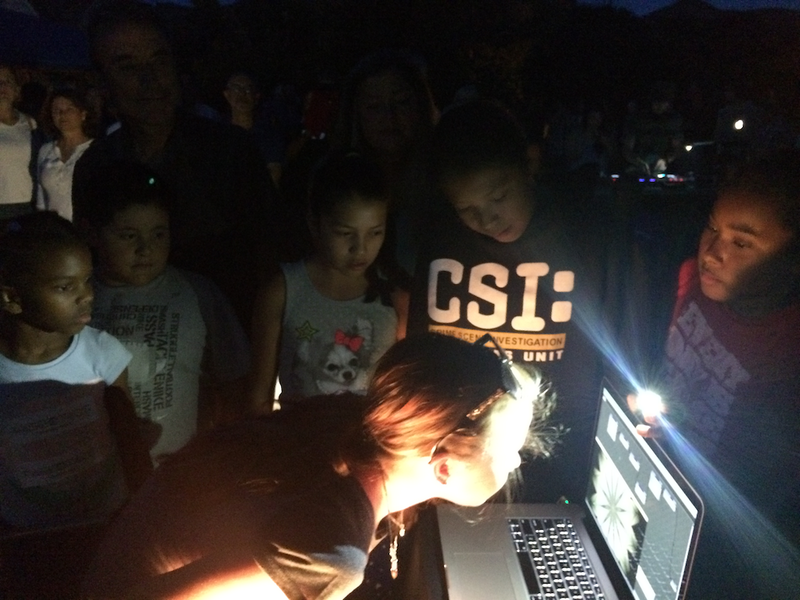 Agnes is out spreading the word about the power of art and science for social change. Her interactive presentation takes youth through her personal journey as an artist inspired by science with a passion for humanitarianism. She shares the science that has informed her work, talks about the unique socio-economic landscape that students need to be prepared for to succeed in the world, and advocates for the creative hybridization of technology, an interdisciplinary approach to life and using art as a vehicle for change. She will be doing this presentation as part of the Cafe Scientifique series in Los Alamos on November 3rd and in Taos on December 3rd. You can visit www.stemartslab.com for more about her projects and work. After coming down from the buzz and excitement of The PASEO which took place on September 25,26, we are ready to do some Pop-Ups to keep the momentum going! Mark your calendars for THIS SATURDAY October 24th from 10am-7pm at the Oo-oonah Art Center on Taos Pueblo for the Halloween Kids Carnival. Oo-oonah Art Center founder, Marie Reyna, is holding her annual fundraiser and PASEO is going to pop in to help out. The Oo-oonah art program was founded in 1984 and provides wonderful traditional arts programming to all children. The event will include fun Halloween carnival games with prizes, as well as mini workshops and demos for kids. Agnes Chavez and Melanie Redmond will be demonstrating a video mapping software by collecting images from participants throughout the day which be transformed and projected on to the exterior building at dark. Liz Neely will be creating mini ghosts and bats with her 3D printer and talking about the applications of 3D printers for young and old alike. 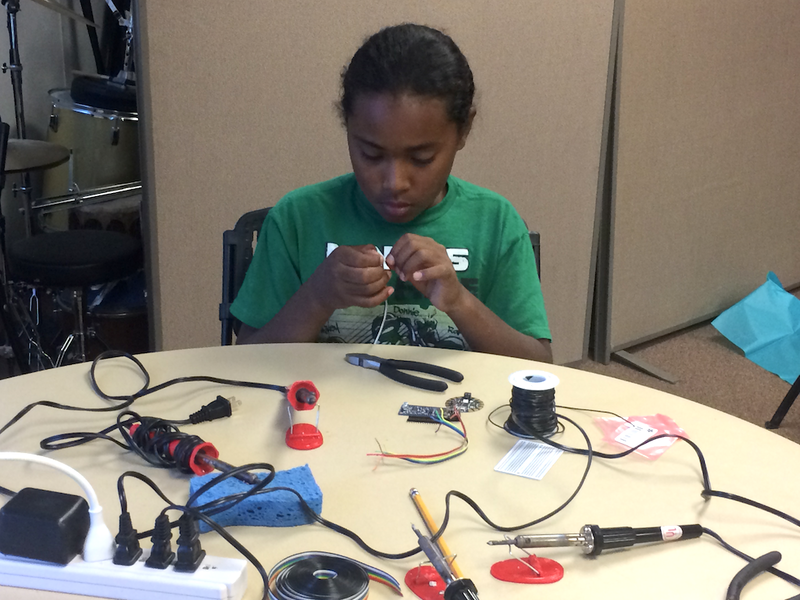 Meanwhile, kids can experience traditional workshops and demos for just $1. How about learning how to make fry bread? So get on your costumes and bring out the whole family for some fun, while helping to support this wonderful program for the children in our community. Student Reception. Come and share posole with us! During my residency at CERN in March I met Ines Knaepper and Danial Dobos. They had recently launched an innovative project called THE Port, whose mission is to “combine creative minds from CERN and non-profit organisations in interdisciplinary teams to work on humanitarian technology related benefits to society.” They shared their project goals and expressed that they were not getting as many artists applying as they would like to see and asked if I had any ideas or could help. Coming from Taos, where we have more artists per square mile than sagebrush, I said sure we could help. Synchronistically, Daniel happened to be in Santa Fe for a conference a few months later and we met up in Taos, along with Matt Thomas, so we could discuss the possibilities of a STEMarts/PASEO/THE Port partnership. Well within minutes of hearing what it was all about Matt was ready to sign up to represent Taos for this years project at THE Port. He had to go through a rigorous application process which you can see by the caliber of projects and participants on the site, and I am so excited to announce that he has been accepted! You can see his face if you click on Teams>Pier 31 line-up. That means Matt is heading to Geneva Switzerland to work with his team on the following topic. One of the goals of the STEMarts Lab@The PASEO is to bring international opportunities like this to the Taos community. 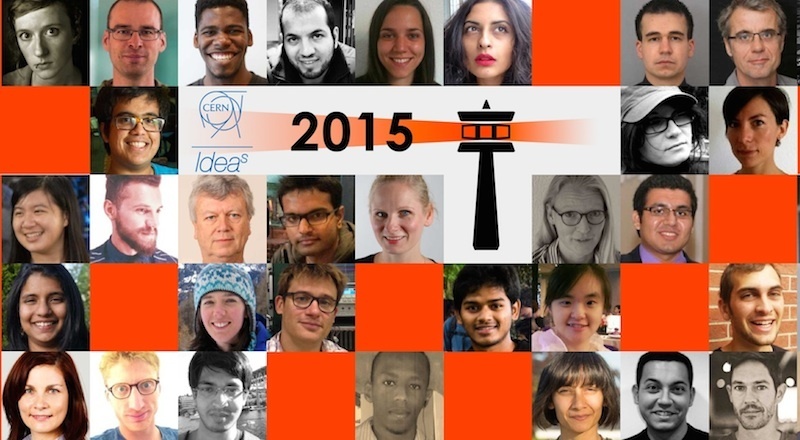 Next year we will nominate more artists to apply so if you are interested please contact us. 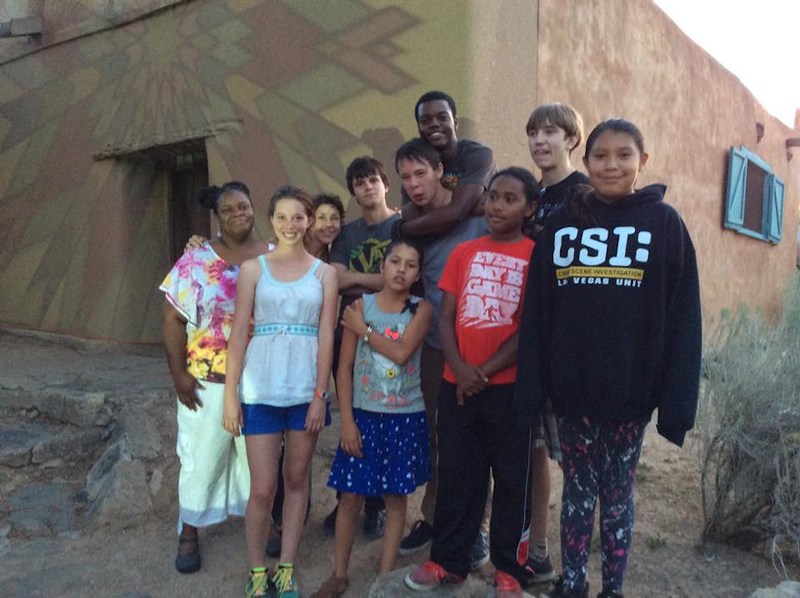 As part of the upcoming The PASEO art festival, I visited Taos, NM and worked with local youth on an interactive art installation. My arrival kicked off the STEMarts Lab @ The PASEO programming, a series of youth workshops based at schools across the district. 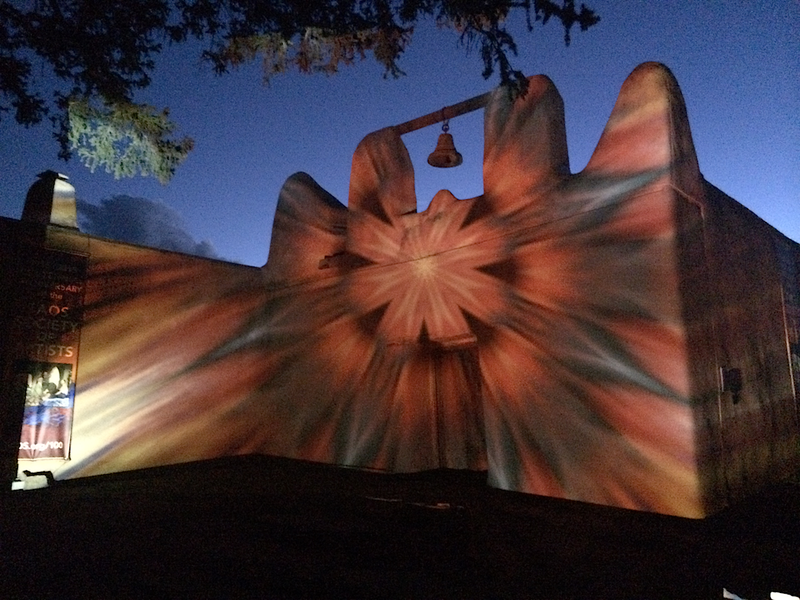 This week’s activities culminated with a free outdoor projection piece on the Luna Chapel on the Couse-Sharp Historic Site (see above). I was inspired by the Native American artifacts that were used in paintings during the late 1850s. 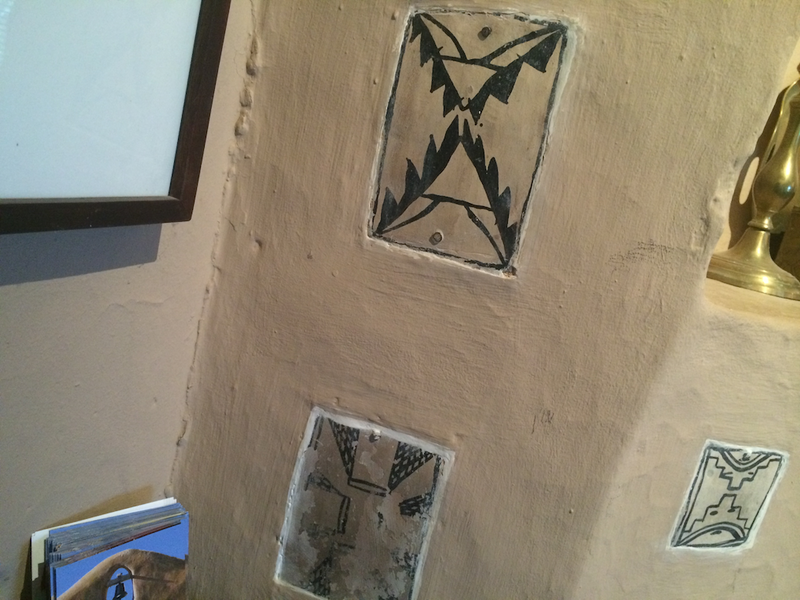 For example, the authentic painted ceramic tiles embedded in the Couse Studio fireplace reminded me of ancient Mimbres pottery, which was the main subject of a ISEA2012 Albuquerque workshop I co-facilitated. 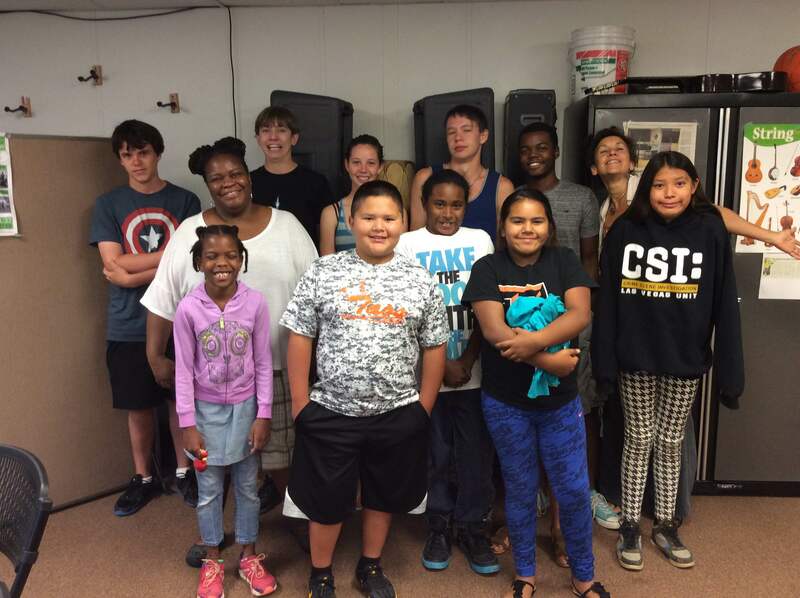 Elder Marie A. Reyna, Executive Director of the Oo-Oonah Art and Education Center helped recruit youth from the Taos Pueblo to attend the workshop. 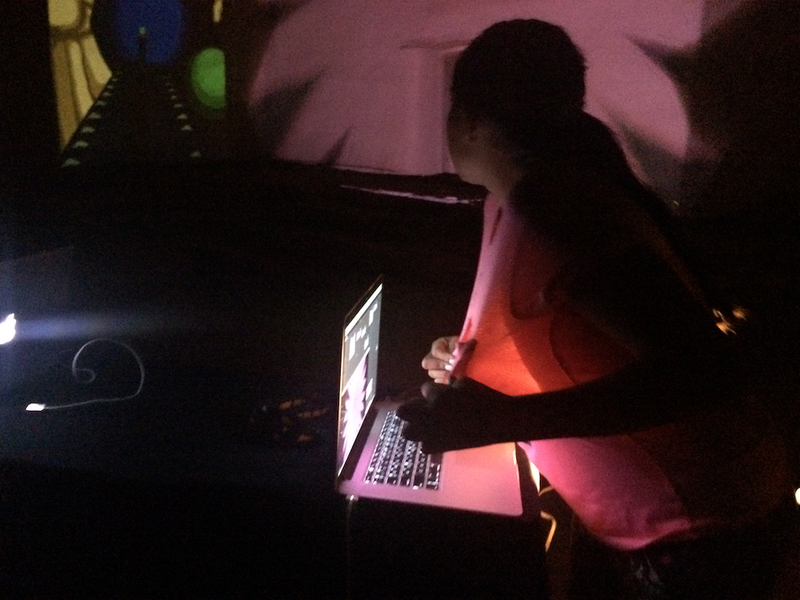 As a result of her, Karin Moulton’s and Agnes Chavez’s efforts, an ethnically diverse group of participants showed up to learn about the Electrofunk Mixtape: An AR Virtual Sounding Space. 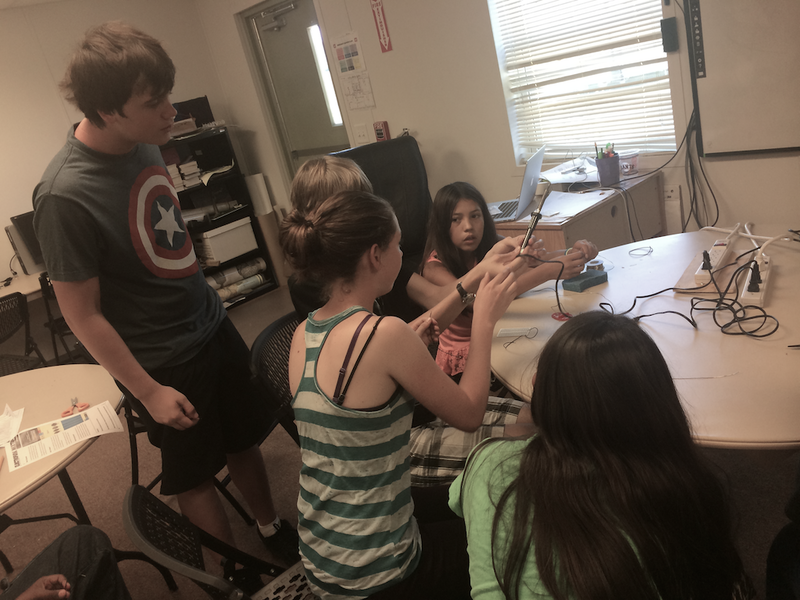 The goal of the workshop was to teach physical computing and video projection mapping to Taos youth, as well as to engage ethnically diverse students through culturally responsive teaching. During the 1970s and 80s, a genre emerged that evolved the programming of electronic devices to make funk-y sounds. This genre was/is called electrofunk. The workshop took the electronic programming aspect of the genre and combined it with the mixtape, which is a compilation of songs recorded onto any audio format. To this I added the exploration of culturally (and environmentally) relevant outdoor art installations (i.e., Bert Benally and Ai Weiwei). The idea of mixing different sounds and images using electronics was introduced to the participants and they spent the first day brainstorming and trying out different materials and methods. The goal was for them to learn and practice new skills, learn how to communicate and work together in teams. In other words: forming, storming, norming and performing. The participants were really interested in using the sound glove, so I wanted them to explore how they might use one in an interactive art installation. The glove converts colors to musical notes. One group used it to identify the notes for a color-based project that could be played by the glove wearer. They spent time “playing” colors with the glove and composing music using real instruments to play the same notes. 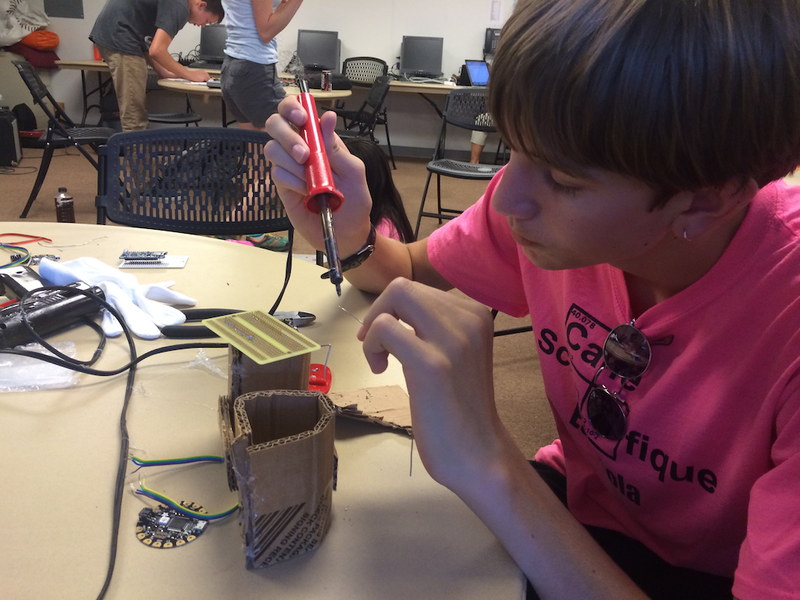 The second day was more focused and participants worked on projects for The Paseo art installation such as soldering electronic components for the sound glove, creating sculptures using wire and colored tissue paper that will light up in the dark, and using Figure to compose songs. Figure is an iOS mobile application that allows users to create songs using different patterns from electronic devices such as the Roland TR-808, which was used in electrofunk music. At the site for the final installation there is a “rock house” and a short rock wall that gave me the idea of creating electroluminescent “rocks” that respond to sounds. 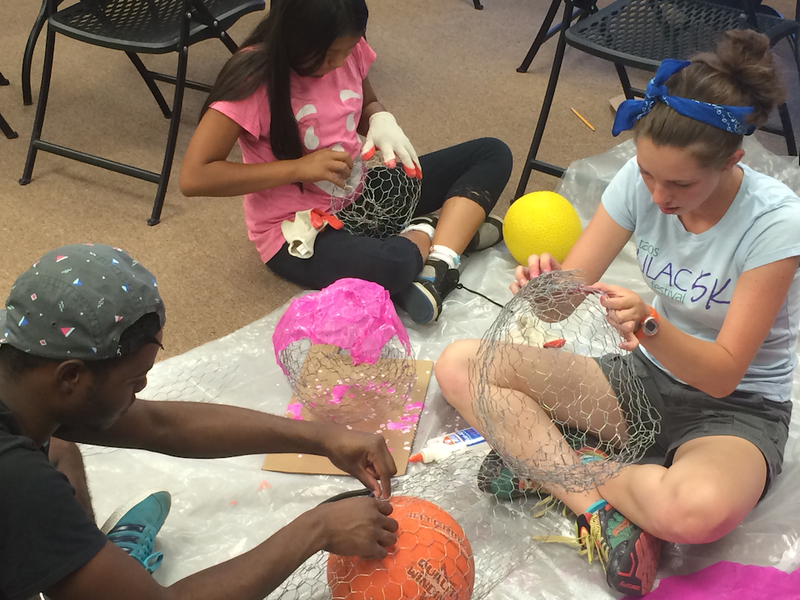 The youth took this idea and ran with it, using chicken wire and colored tissue paper. Later, I will create electronics (and even more electronics) to make the colored objects light up and interact with sounds. On the third day we wrapped up the projects and I taught the participants how to use Magic Music Visuals to generate different image patterns that respond to sounds. Each participant was asked to select an image to use for the Pre-Paseo event at the Couse-Sharp site. I was impressed by the group’s hard work even though I knew they would rather play (or take longer breaks). 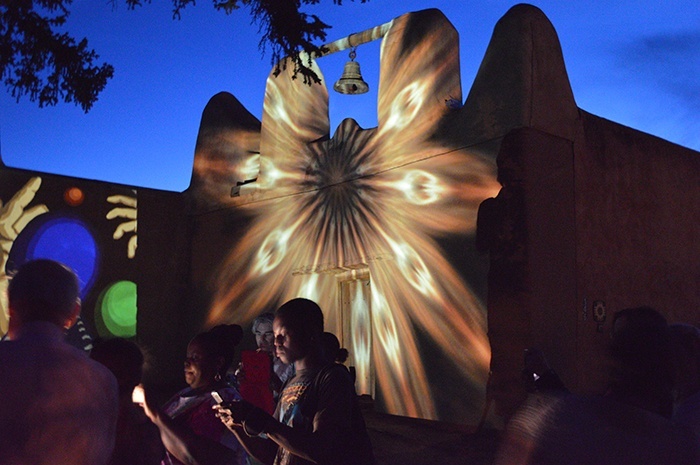 Later that day, the Taos community showed up for the ‘pop-up’ and I set up the laptop to project images (music visuals) on the outside walls of the Couse-Sharp Luna chapel. I used art/images created by the youth during the workshop and a feature in Magic Music Visuals that generates abstract visual patterns using live video. The music was provided by local DJ Oliver and the event was covered by local news. The youth showed up with their families and some of the workshop participants helped test the software. Then, something really interesting happened. After introductions were made, native youth demonstrated what they had learned in the workshop. I stepped back and let them take over the VJing duties. I encouraged the audience to join in and the youth facilitated their participation. Taos Pueblo elder Marie A. Reyna also participated and she spoke. This was one of the highlights of the event. Of course there were challenges but, overall, the youth workshop and kick-off event was successful. During the workshop, I saw the five essential elements of culturally responsive teaching: developing a knowledge base about cultural diversity, including ethnic and cultural diversity content in the curriculum; demonstrating caring and building learning communities; communicating with ethnically diverse students; and responding to ethnic diversity in the delivery of instruction. It touched my heart to see elders and families from the Taos Pueblos show up (early) for the culminating event. In many ways, the exposure to culture, technology and art transformed the youth. 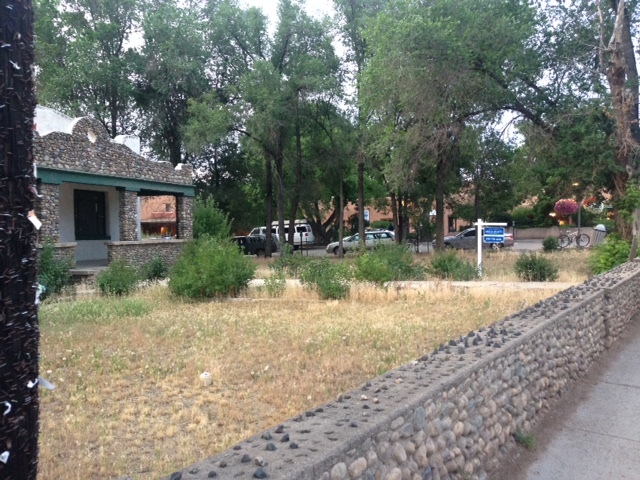 The Taos community could see the learning demonstrated when the participants VJed the pop-up event. One of the youngest participants went from literally hiding under a table to leading the VJ activity during the pop-up event. When her images were projected on the Luna chapel wall I encouraged her to tell her grandmother who I had met at the Pueblo. 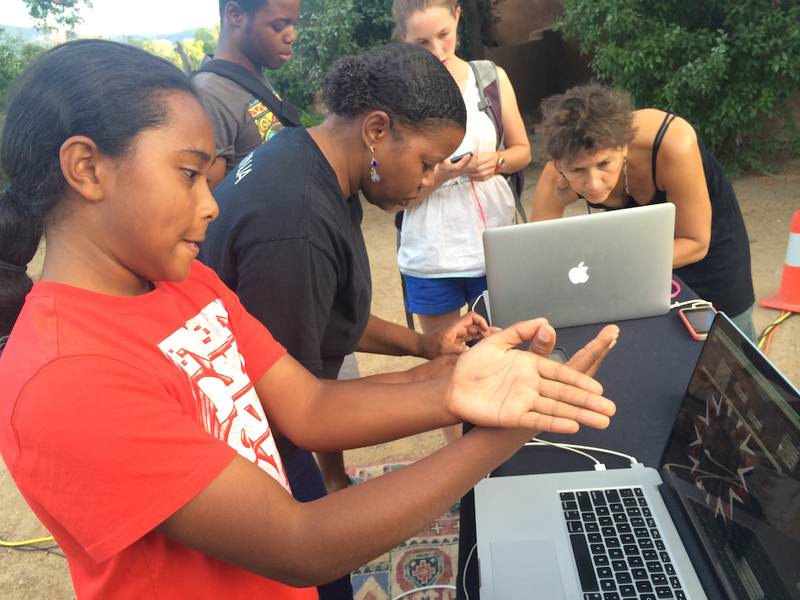 Another youth was very interested in the live video capture feature of Magic Music Visuals. Towards the end of the event, she experimented with software as DJ Oliver wrapped up his set. In many ways, this workshop demonstrated techno-vernacular creativity and culturally responsive teaching, which is based on the assumption that when (STEAM) knowledge and skills are situated within the lived experiences and frames of reference of students, they are more personally meaningful, have higher interest appeal, and are learned more easily and thoroughly (Gay, 2000). As a result, the academic achievement of ethnically diverse students will improve when they are taught through their own cultural and experiential filters (Au & Kawakami, 1994; Foster, 1995; Gay, 2000; Hollins, 1996; Kleinfeld, 1975; Ladson-Billings, 1994, 1995). Au, K. H., & Kawakami, A. J. (1994). Cultural congruence in instruction. In E. R. Hollins, J. E. King, & W. C. Hayman (Eds. ), Teaching diverse populations: Formulating a knowledge base (pp. 5-23). Albany: State University of New York Press. Foster, M. (1995). African American teachers and culturally relevant pedagogy. In J. A. Banks & C.A.M. Banks (Eds. ), Handbook of research on multicultural education (pp. 570-581). New York: Macmillan. Hollins, E. R. (1996). Culture in school learning: Revealing the deep meaning. Mahwah, NJ: Lawrence Erlbaum. Kleinfeld, J. (1975). Effective teachers of Eskimo and Indian students. School Review, 83(2), 301-344. Ladson-Billings, G. (1994). The dreamkeepers: Successful teachers of African-American children. San Francisco: JosseyBass. Paseo POP-Up: Artist Nettrice Gaskins Brings Electrofunk Mixtape to Taos! The PASEO 2015: Bring on the Electrofunk! 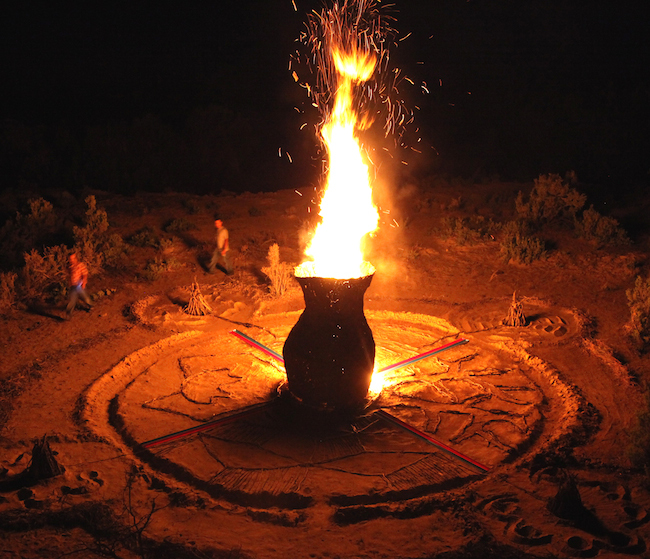 What do Electrofunk, Pueblo culture and Taos teenagers have in common? I met Nettrice for the STEMarts@International Symposium of Electronic Arts(ISEA): Machine Wilderness event which took place in Albuquerque in 2012. 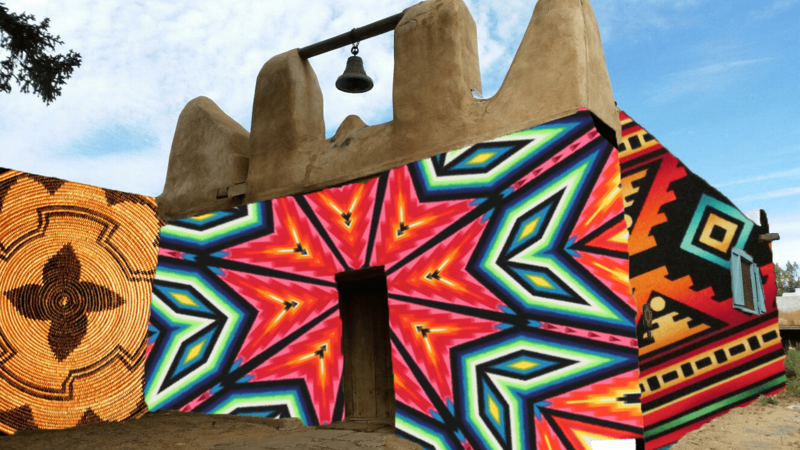 We invited her to teach her Augmented Reality (AR) Mural workshop at Explora and I was blown away by AR technology and how she juxtaposed it with painting and an exploration of cultural mimbres. 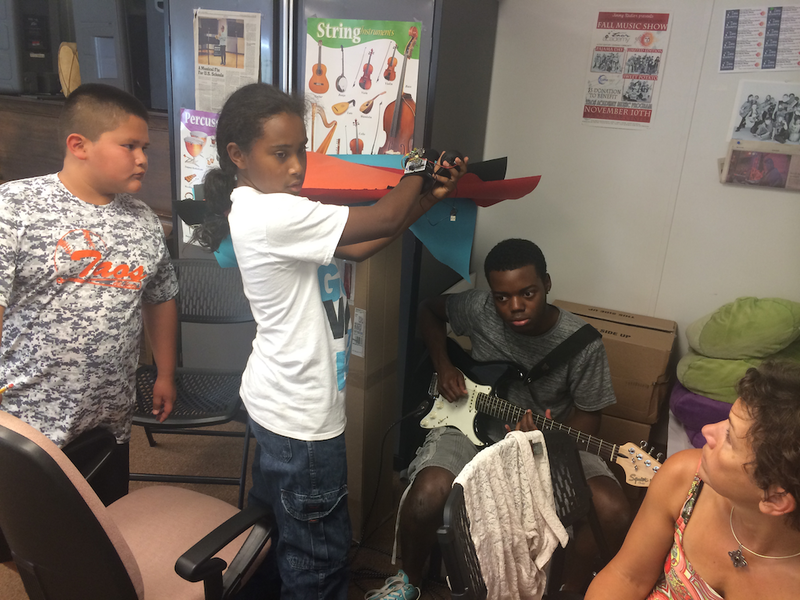 While scouting around for new media artists to bring to the STEMarts@The PASEO youth program, I called Nettrice up to see what she was up to these days. I was thrilled to hear about her Electrofunk musical gloves that you slip on and play sounds with your fingertips, converting colors to musical notes. 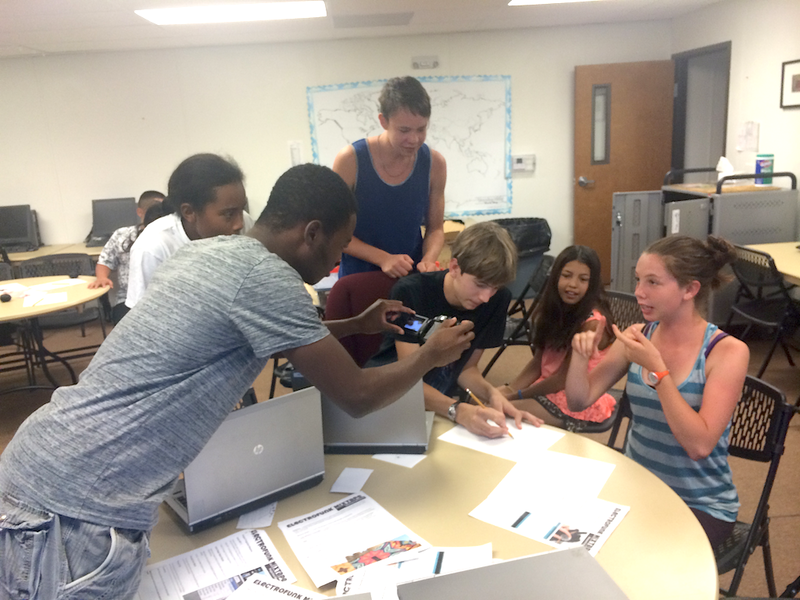 Students use spatially augmented reality and physical computing to explore cultural artifacts to inspire the imagery. That’s what ten students from Taos Academy and Taos Pueblo will be doing when Nettrice comes to teach Electrofunk Mixtape: A Virtual Sounding Space. 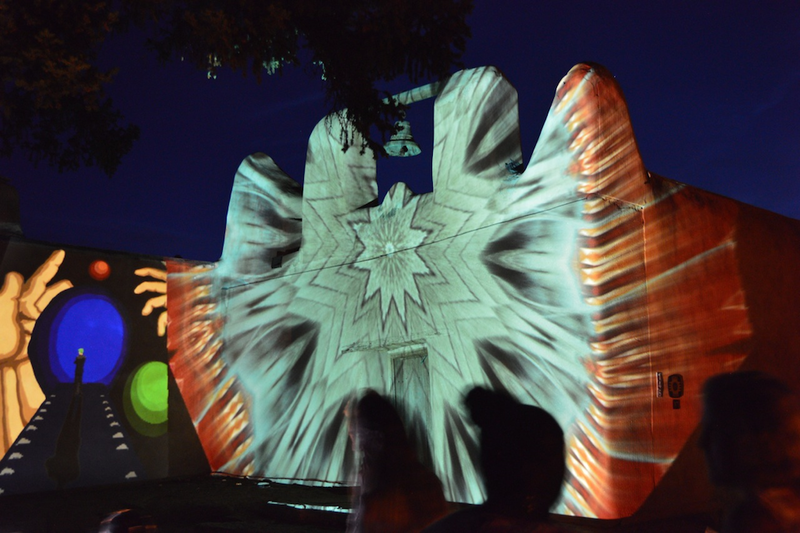 Her advanced 3-day, 21-hour workshop culminates with a video mapping projection on the Luna Chapel at the Couse-Sharp Historic Site property on August 6th. Yes you heard right. 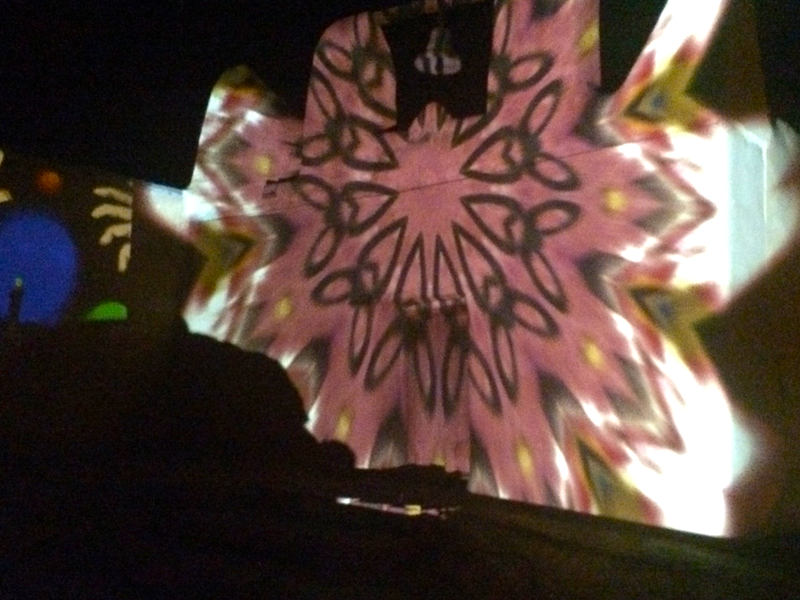 Video mapping on to the historic adobe chapel, and DJ Oliver orchestrating the electrofunk! This is all for our PASEO fundraiser to welcome our first PASEO artist, so mark your calendar and spread the word.